Like any other business, a beauty business (such as hair and beauty salons) are benefiting a lot from social media. With social media, you have more potential than ever to reach out to your customers, brief them about your brand, and allure them to try your services! As per the esteemed Euromonitor report, the age group of 25-34 years is most active on Facebook and hence you can devise your content strategy accordingly. Below are some of the ways to use social media to the best of your capabilities. Identify your target market and post content that piques their interest. Moroccan baths, calming massages, luxurious hair dye jobs – there’s so your brand can offer. Pair this up with a couple of amazing tips, how-to, hair and beauty tutorial, and photos with simple captions. Post pictures of your work on your Facebook page to entice the customers into checking you out. 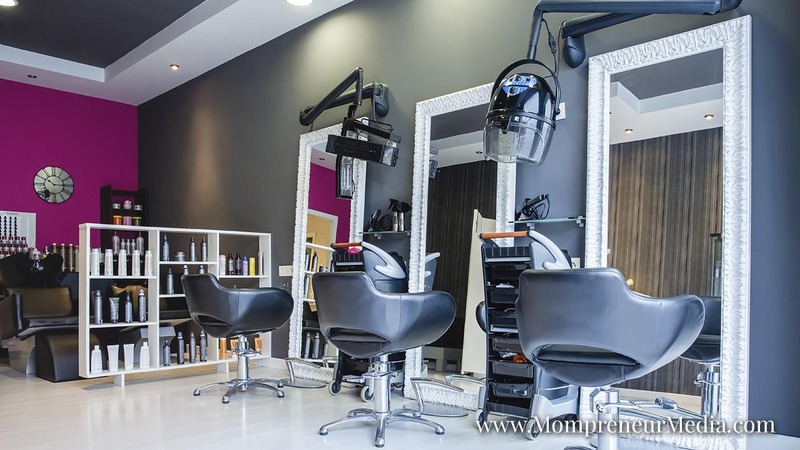 Customers wouldn’t want to risk any newbie with hair dye or any other expensive beauty salon so your pictures at work can help them see your expertise. Show off your best work to toot your horn. How about nailing it with that holiday-themed manicure you are so proud of? Compared to text-only posts, posts with images rope in 120% more engagement? Well, there you have your answer. This is a surefire way to get more customers. Giving freebies is an excellent means of getting someone to try out your service and be acquainted with it. Besides this, you can have any contest on your social media platforms and give away gift cards to winners. It is very convenient for the customers to take part in your contest while being on Facebook. More engagement i.e. all the likes, shares, and tagging on your Facebook page will also translate into increased marketing. Dan Ariely has written in his book Predictably Irrational how more people opted for a $10 Amazon gift card as opposed to a $20 gift card available for $7 even though latter was more value for money. This is the power of freebies! Feel-good posts and quirky quotes are all the rage these days on Facebook. They are shared and generate high engagement for brands. Make your fans and audience feel valued by offering deals and discounts to them. You can always post promotional posts on Instagram so that customers are in the loop of what new is happening in your salon. For instance, when school is about to open, you can post about a discount for back-to-school haircuts for children. Whether you are on Twitter or Facebook, you should be mindful of the time when you’re posting. Midday tweets won’t reach as many customers as they would when they are tweeted in mornings, evenings, or on weekends when your customers have more free time to browse. A short post can speak a thousand words about your beauty business. That’s why expecting a cluster of potential customers commenting on your posts makes so much sense. If your posts and tweets are relevant to your brand, you can attract more customers to not only try your service but also spread the word with their friends via social media. By Chris Smith – I’m Chris. I’m a fairly normal 20-something guy born and bred in the mean streets of Glasgow (they’re actually not that mean.) I wouldn’t say there is anything particularly special about me, although my mother would argue with that, I’m a straight forward guy who enjoys a good lager, movies, computers and a good lager (What? I’m Scottish!) I’ve worked in a series of random jobs before and during University ranging from being a bouncer in a pub to working in a call center selling people insurance (for which I apologize) so, I’ve been about. I’ve picked up a lot of knowledge along the way, particularly regarding saving money and spending it effectively, not just from my own experiences (good and bad) but from people passing their knowledge on to me. So, the logical thing would be to pass it all on again, right? Yeah. That seems like the right thing to do.